Back in 1996, terror by the name of Resident Evil paid a visit to the PlayStation and it was totally embraced by gamers. A big reason is because this horror genre didn’t have a big presence back then and RE excelled at combining the horror element with a RPG / FPS gaming style. You could literally spend hours with Resident Evil and just get lost in the game which was even more enjoyable when played at night without any lights on and the volume turned up! Leap across the timeline and today you’ll find more than 20 Resident Evil games, a series of books, an animated film collection, plus an entire live-action film franchise that – like the undead – comes back again and again. I love the game franchise and have seen most of the films which are loads of fun! In fact, I can’t wait to see Milla Jovovich’s (final?) performance as Alice when Resident Evil: The Final Chapter lands in theaters this December! 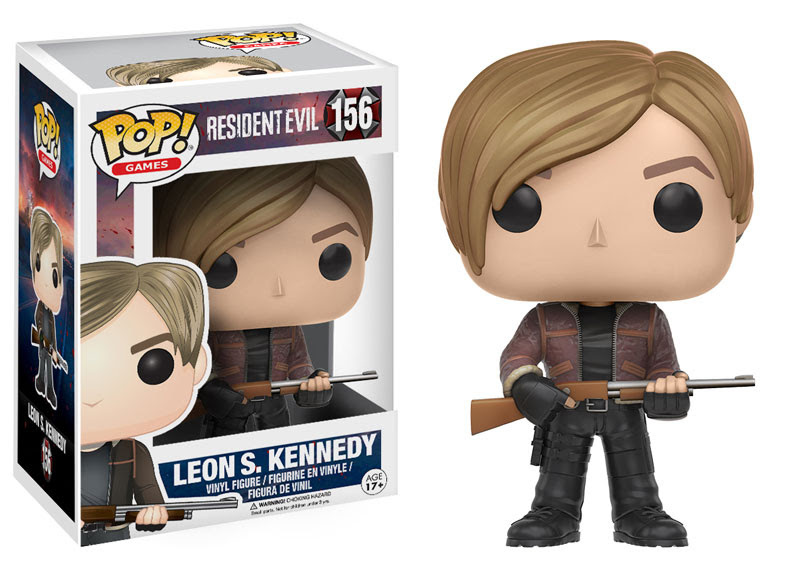 With everything under the Resident Evil “Umbrella” (sorry, couldn’t help it), this exciting and extremely detailed line of RE Funko Pop!s are sure to be must-haves for fans of the franchise. 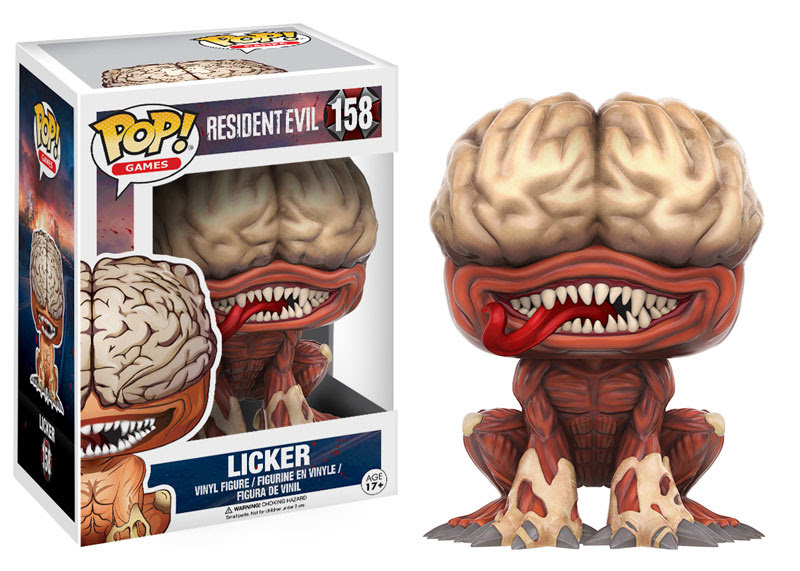 So don’t wait, order yours today because much like the T-virus – these are going to cause a frenzy! 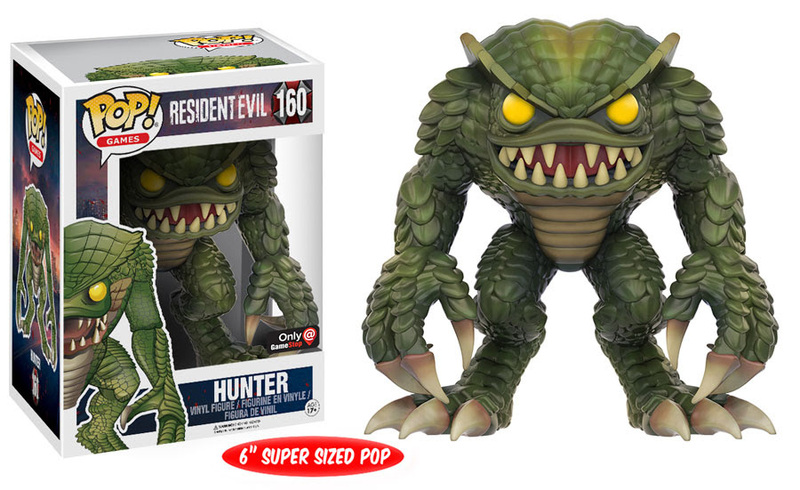 The classic video game franchise Resident Evil is joining the Pop! family! This series includes S.T.A.R.S. Alpha Team’s Jill Valentine and government agent Leon S. Kennedy, as well as the Licker, Nemesis, and Tyrant enemies! Pre-orders are available now for these four figures. Simply click on any of the images below for more info and be sure to scroll a little further down to see the wicked exclusives Funko has planned for this series! 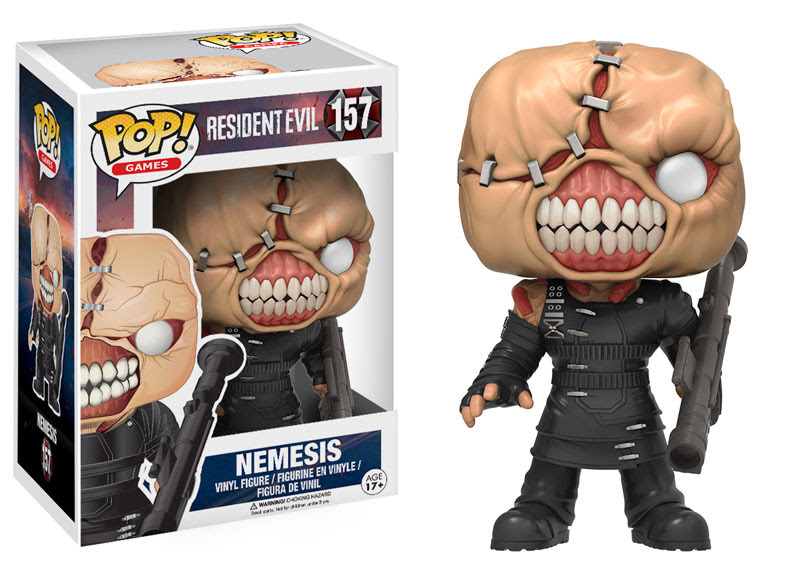 The above Pop!s are not all Funko Funatics. The House of Freddy also released news that several popular stores will get Super Sized 6″ Pop! figures of some fiendish foes! 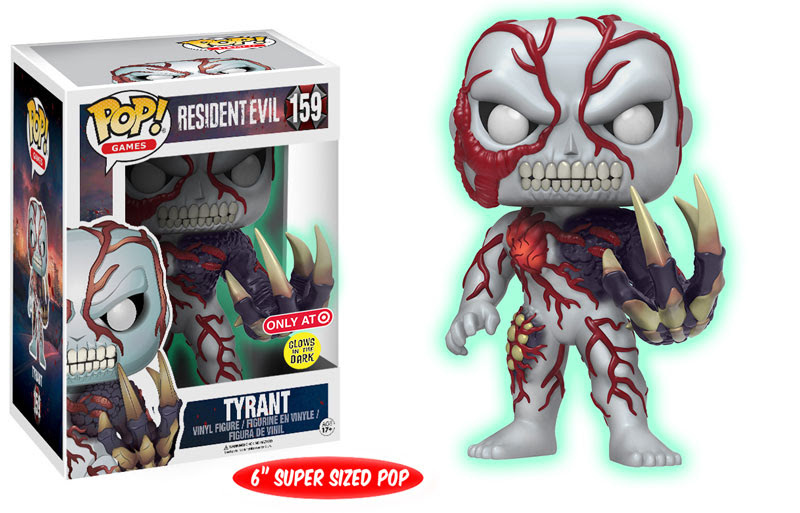 Be on the lookout for the Hunter at GameStop, Tyrant at Hot Topic, and a Glow-In-The-Dark Tyrant at Target. As usual, if links become available for these exclusives we’ll update this article and let you know. 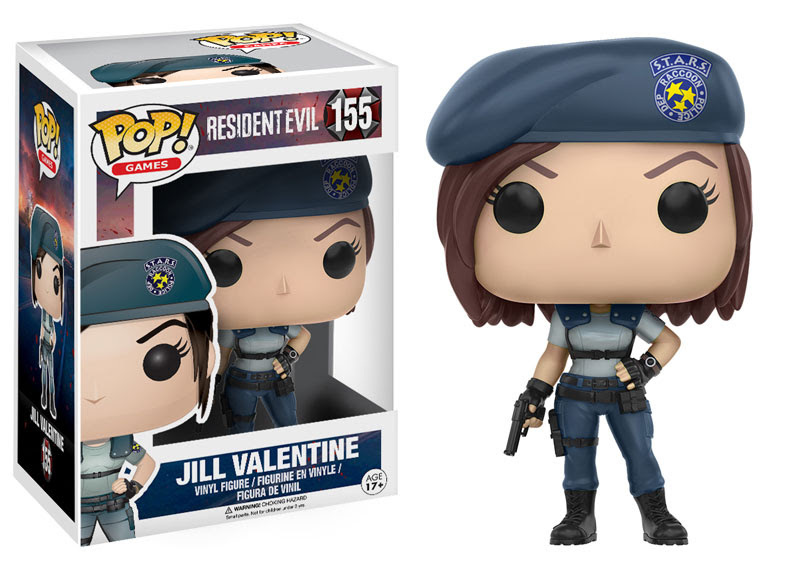 Which is your favorite Resident Evil Funko Pop!? Are you going for the exclusives too? Let us know if the comments below!